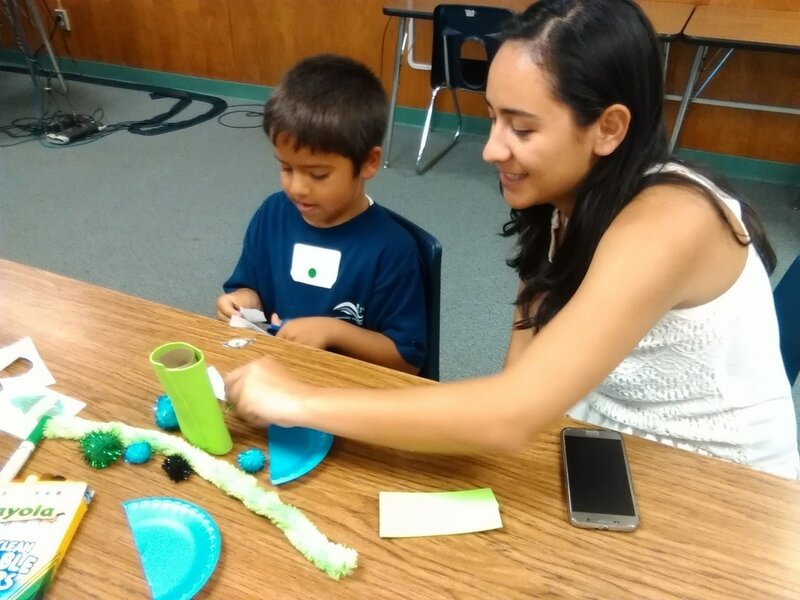 Teaching assistants are passionate CSUCI students majoring in math or science. As part of the teacher leader team, CSUCI students will work with two teacher leaders to create and teach hands-on lessons with an emphasis in environmental literacy to a cohort of grade level specific teachers for four days (June 24-27). The institute will culminate on the 5th day (June 28) with the teacher participants leading a STEM half-day event for K-8 students. Teaching assistants will receive a scholarship for the five day Summer Institute and stipend for each of the follow up days during the 2019-20 school year. Lunch will also be provided during the 5-day event courtesy of CSUCI.​ CLICK HERE to download the flyer with specific scholarship details. This scholarship is funded by the Math Science Teacher Initiative (MSTI) and is a great opportunity for students who think they may be interested in the teacher profession to check it out! If you are interested in being a teaching assistant at the 2019 STEMposium, please contact Annie Ransom for more information or CLICK HERE TO APPLY. Attend two planning meetings to prepare for the Summer Institute. Help to deepen participants' math/science content knowledge. Assist leaders in daily workshops for a cohort of participant teachers where you will develop and model multiple hands-on lessons and activities focused on math and engineering. CLICK HERE to download the informational flyer!